Which Selection works best for you? We Love our clients too! 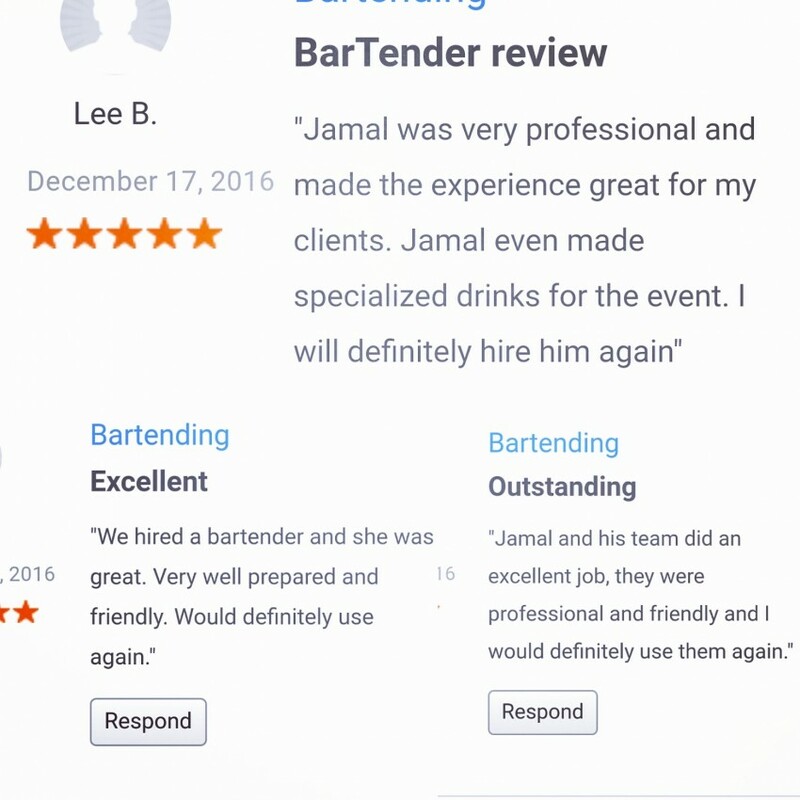 Signature Party focuses on the specific needs of our valued clients when providing the best and most professional bar services possible. We offer a relatively low price in the industry without compromising for quality or professionalism. Our experienced and well-trained bartenders will not disappoint. 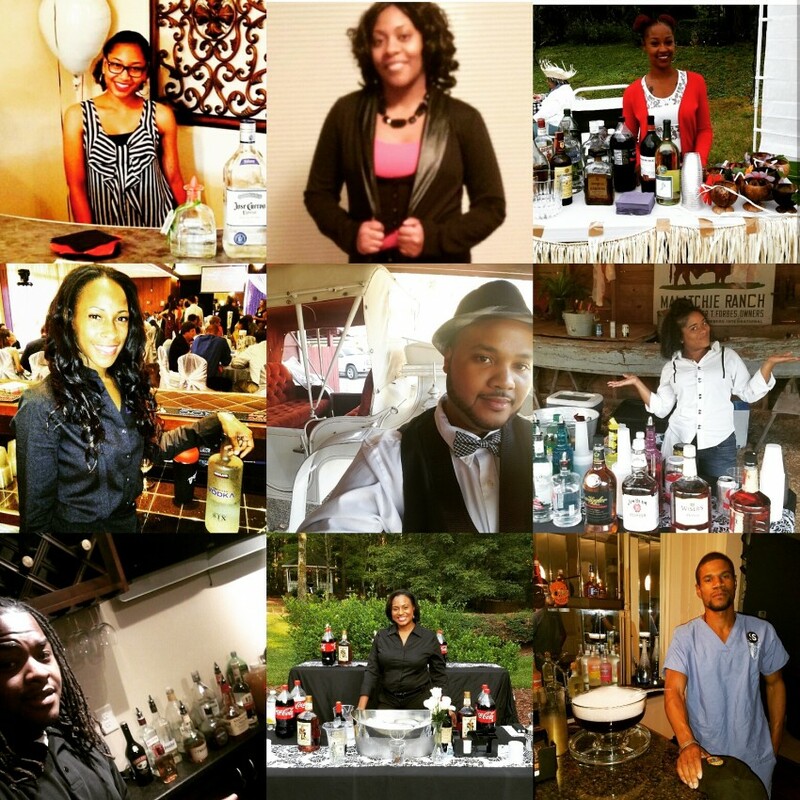 Along with our affordable bar service our mix staff is willing and ready to develop or discover a Signature drink specifically for your event for FREE. We would also love to offer a Liquor List specific to your event needs. We are proud to offer FREE event consulting as well. Let us put our Signature on your next event. You'll never forget the impression! Signature Party: Personally Prepared! The utmost professionalism and nothing but positive energy. An exuberant and willing energy to help any way we can. I am experienced in many facets of event planning and have many contacts in the industry. 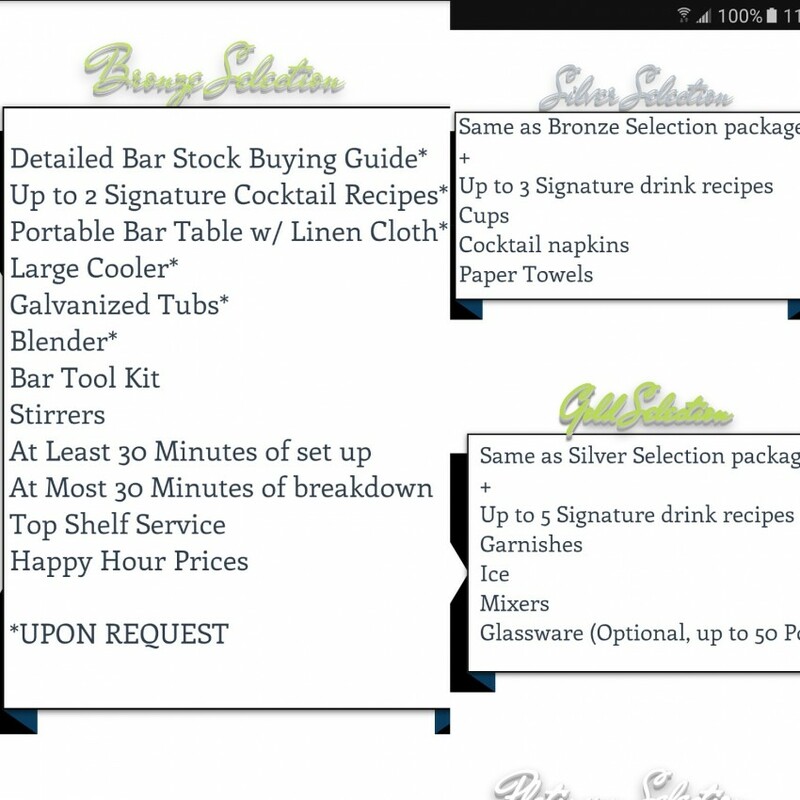 The FREE event consulting I offer with my bar services is of great value thanks to my tenure. I hand pick and thoroughly screen every person that is associated with my Signature brand. My tenure at two prestigious bar schools have granted me a confident knowledge with drink recipes, professional bar service, as well as a Mixology Certification. I have 6 years of bar experience. I also have 9 years of customer service experience and 5 years of management experience so I know the in and outs. I'm always picking up new knowledge and experience. I picked this field of work to help those in their special moments of life. I am constantly surrounded by smiling faces of all types and that alone is rewarding in a priceless way. The lovely and lively bar staff I work with feel the same. My brand is based on leaving a lasting impression on my clients. However, the more special times I share with my clients whether it be a new year, new age, new addition to the family; spouse or child, the more impressions that I myself am left to cherish. Satisfying our clients beyond their expectations each and every time motivates us to keep doing so.